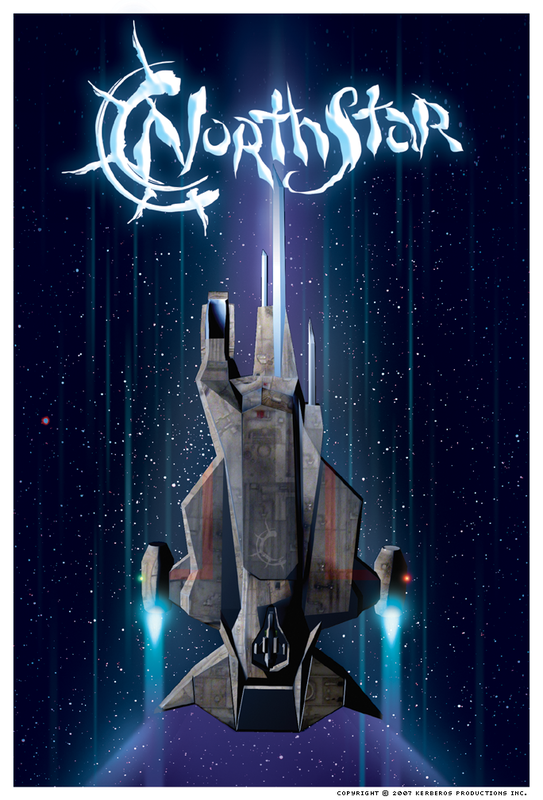 The Northstar will be your consistent vessel throughout the game — somewhat realistically — the wealth required to purchase a Spirit class tradeship or the force required to board and capture a military ship of the line, far exceeds the scope of this game. The old ship — well in this case your Mother went from being an independant trader on the Northstar to working her way up the ranks of the Hudson's Bay Trade Corp to the point she was commanding a 2 mile long trade / factory ship touring the frontier when she disappeared — the least you could do is live up to that career arc in her original ship. You will be modding and upgrading and repairing the ship. Less about tuning and more about improving systems, swapping parts into those systems, crafting other parts, adding modules and pods to increase ship capacity or weaponry etc etc. Safe to say the Northstar will not look the same at the end of the game as it does at the beginning. Parts in various subsystems will degrade and breakdown. You will be swapping in a cheap generator bypass to keep the ships shields up in the middle of combat. Keep the faith — do the work — jury-rig those parts — and the Northstar will bring you home safe every time. Your ship will be at least 2 orders of magnitude more detailed than the ships in Sword of the Stars — both in decoration and systems customization. If you want to upgrade your ship — two words — mortgage payments! The great driver of adventure. 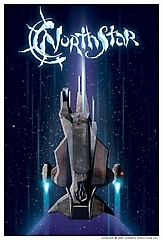 Indeed the Northstar and many ships in the NorthStar universe will be fully mapped out and explorable. 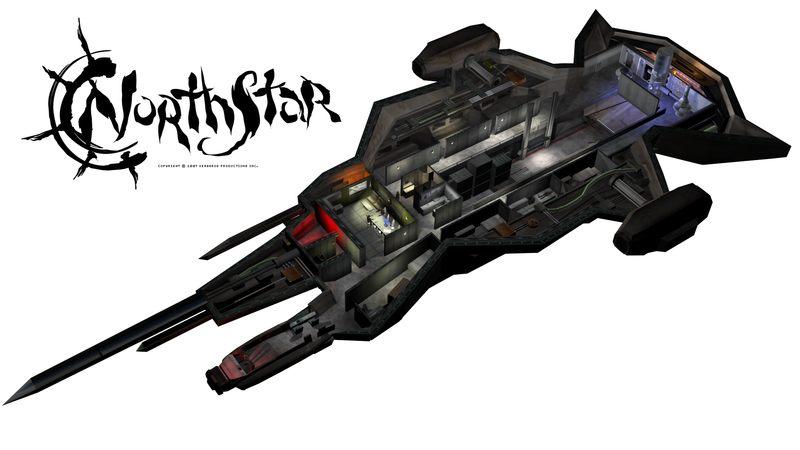 No final image of the Northstar has been released, all seen thus far are very prototypical images.